Daniel grew up in Southern New Jersey outside of Philadelphia and graduated from Rutgers University with a BA in Political Science. He lives in Washington DC and works as a Senior Strategy and Operations Consultant for Deloitte Consulting. School and work occupy most of his time these days, but he always makes room for travel, fitness, reading, and trying new restaurants. Daniel was one of four Kelley students who participated in The German Graduate School of Management and Law (GGS) program and is sharing his experience with us. Can you briefly explain what the GGS Summer Academy 2016 consists of? The German Graduate School of Management and Law (GGS) is a leading graduate school that specializes in management education. The school is located in the city of Heilbronn in the state of Baden-Wurttemburg in southwestern Germany. 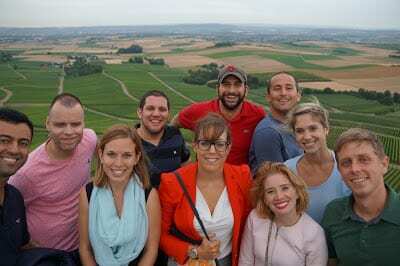 This area is in the heart of the German wine region and boasts beautiful scenic landscapes and picturesque German towns. It is also home to many of Germany’s most successful companies to include Audi and Mercedes Benz. 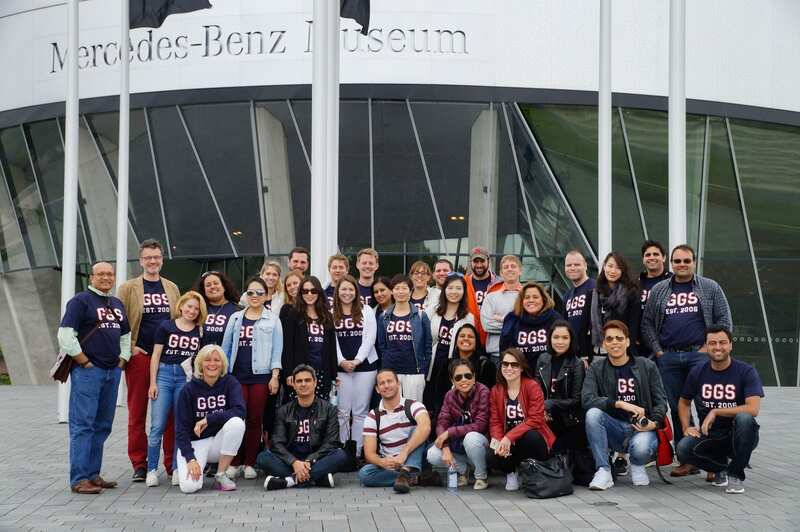 The school hosts a week-long course in the Summer taught by GGS faculty and guest lecturers from companies and civic institutions focusing on Germany‘s Mittlestand companies, small to medium-sized enterprises that specialize in niche market and serve as the backbone of Germany’s economy. During the course, you’ll get a chance to tour some of Germany’s Mittlestand companies and get an opportunity to see what makes them successful in their field. You will also get a chance to visit a variety of sights including the city of Stuttgart, the Mercedes Benz Museum, and you may even get a reception by the mayor of Heilbronn himself. Mixed in will be a number of social activities and excellent German restaurants, so bring your appetite. What was your part/role at the GGS Summer Academy 2016? I was one of four Kelley students who participated in the program. I was joined by students from Mahidol University (Thailand), University of Leeds (UK), Ibmec (Brazil), University of South Florida, and the German Graduate School of Management and Law. I was very impressed with all of my classmates. Getting to meet them was probably the best part of my time in the program. I learned a number of things. First, I came away impressed with how successful Germany’s Mittlestand companies are. Most are smaller companies who compete with much larger corporations, yet for hundreds of years, they remain leaders in their field. The experience was also a reminder of how small the world is. I was around bright people from around the world with a variety of cultural backgrounds. While they came from different parts of the world, their lives seemed identical to my own. We’re all going to school to pursue our dream job or advance within our company, we’re all anxious about the coming research paper or exam, and most of us were not looking forward to going back to work that following week! What can you share about Germany? Germany was very beautiful and has such a great contrast between old and new. You can’t help but be reminded of how rich its history and culture are whether it’s the old architectures, the castles, and centuries-old traditions. You also see a country that has a vibrant future. It’s not just seen in the skyscrapers of Frankfurt, but the growth of towns like Heilbronn, which is becoming an educational hub in the Baden-Wurtemburg region. The people there were very welcoming. This starts with our excellent hosts at GGS: Constanze Wagenblast, Markus Vodosek, and the rest of the staff who made this first-class experience possible. They were not only excellent people but excellent ambassadors of the country. I am very grateful for their hospitality. Please describe your experience at Kelley. I’m not sure it’s fair to call Kelley Direct an online program. I just got back from studying in Germany, I’ll be in Chicago shortly for a Consulting Industry Course, I hope to be in India in a few months, I’ll be back in Bloomington for the second Connect Week, and who knows where else I’ll be headed. That’s what makes the Kelley program so unique, the program is what you make of it. Even if you don’t travel as much for class, the flexibility of the online format lets you take the Indiana University classroom where you want it and when you want it. You do all this while earning an MBA at one of the top business schools in the world. So to answer the question, my experience at Kelley has been what I made of it, a great one!